The MHS Board meets the third Thursday of the month at 5:00 p.m. Pratt Hall in the Summer, Public Safety Building Conference Room in the Winter. 1. What year was the first State license plate issued? 2. How many were issued? 3. What was the first slogan used on a plate? 4. What year was the first Vanity Plate available? "As the new head of the Society I would like to first express my appreciation to all the other Board Members, Past Members, and Past Officers for their service to our organization. We've accomplished a lot and I will, no doubt, rely on them for advice and education. I ask all of you to continue to show me the patience and cooperation I will need, and to keep open the lines of communication. Our membership is our greatest resource, one I plan to tap often. If you have an article, or any other ideas, for this newsletter, or the Society, please let me know. " Ditto! "Those of you attending this year's "Candles and Carols" probably noticed the awkward step over the threshold and the temporary floor as you entered Pratt Hall. Well I just received notice that our application to the State of VT, Division Of Historic Preservation, for a 2010 Historic Preservation Grant was approved. 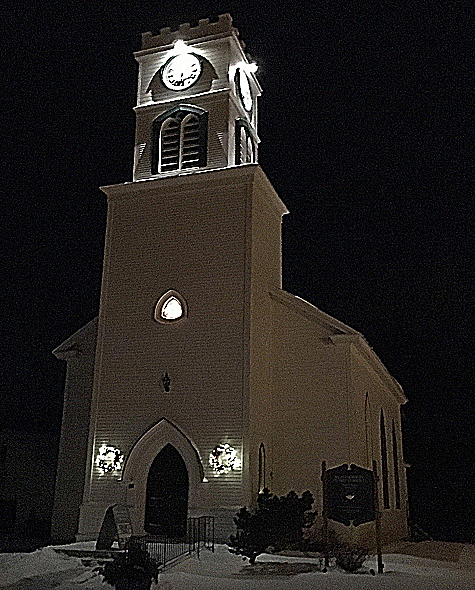 We asked for $7,500, which we must match, for structural work on the base of the clock tower and entryway. This is the first grant money for this kind of work we've ever received. The State indicated they received 42 applications this year with requests totaling just over $485,000. They approved 19." And we're off. "Bill (Branthoover) passed away peacefully in his home in Ohio in late October. He was interred in the Center cemetery. In celebrating his life I realize that I always measured our successes as an organization on the Branthoover scale, that is, what would Bill think? He could be a hard man to impress but said several times how pleased he was with what we were doing, from preservation work on the Hall, to documenting the stained glass windows, to the recently published third edition of the Town History. I will miss his booming voice, wit and good humor, and comraderie. Our best wishes to Margaretta and his entire family. Thank you Bill, you will be missed." Still do. "Pratt Hall has been joined by a new structure with standing exhibits on the history of Montgomery and Pratt Hall preservation. It houses our collection of artifacts and ephemera that tell the story of the Town through exhibits and programs." Dream. The Board decided to replace some damaged Lexan pieces, the clear high strength protective panels covering the outside of the stained glass windows, and to also cover the one clear window. The materials will cost a couple of thousand dollars due to the sizes we need. The Men With Tools will install them. We’ve compiled the best photos from our three “Then and Now” calendars into a slide show and posted it to our MHS YouTube channel. Vintage photos of Montgomery fade into contemporary photos of the same location. It's had over 1,100 views so far. There are other videos of exhibits and our preservation work there. Check them out. We participated in a local craft show again, organized by our own Sue Wilson in early December to benefit the Montgomery Elementary School. We offered books, vintage covered bridges ornaments, and stained glass window note cards. Can't get more local than that! 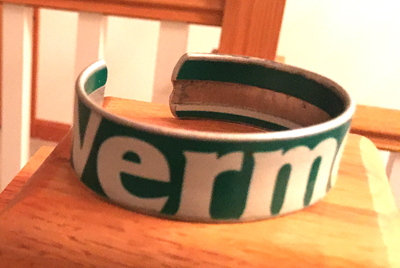 Bracelet made from used Vermont license plate by Larry Langlois . You should see the license plate bird houses. 20TH ANNIVERSARY OF THE 97 FLOOD EXHIBIT? 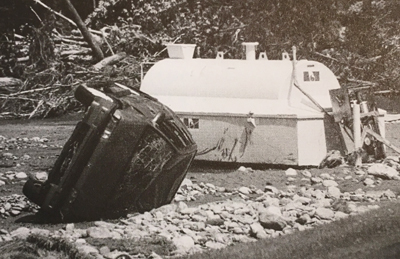 The Board has had very preliminary discussions on an exhibit on the 97 Flood to commemorate the 20th anniversary of the disaster this summer. We are thinking about photos and videos and a few artifacts and possibly working with the Town boards and Montgomery Center for the Arts for perhaps even more... say an Anniversary weekend in July. Floodfest? Got any ideas? Any photos, object you are willing to loan? Email us and stay tuned. Winter meetings of the Board of Directors remain on the third Thursday of the month but at 5:00 p.m. due to the availability of the Public Safety Building Conference Room. Applications for our annual Lalia Pratt Hays Memorial Scholarship are due May 1st. All graduating Montgomery Seniors going on to future education are eligible. The State recently awarded the contract for the rehabilitation of Longley Bridge to Alpine Construction. Work is expected to start this spring and cost just over $1 million. This time of year we remind everyone about the TD Bank Affinity program. Anyone with a TD Bank account can designate the MHS as their Affinity partner and the Bank will make a donation based on the average aggregated annual balance. Thanks to all of you that have already designated us. We are one of the few non-profits that have had enough program members to be eligible, and to receive an annual donation, every year. We can always use additional members. The more participants and the more we save, the greater the donation from TD Bank. Several members asked that we post this reminder with a direct link to the Amazon Smile log in page. The link is: https://smile.amazon.com/. Amazon Smile is a program that supports non-profits. Amazon’s charitable arm, the Amazon Foundation, makes contributions from its profits, to the organization(s) you designate. The amount is based on your purchases. This FAQ has additional information. If you have any questions please email us. Thanks, The MHS Board of Directors. 2016 was another good membership year. We came up just short of our goal of 200 members, but exceeded our $10,000 goal for membership donations topping $10,500. 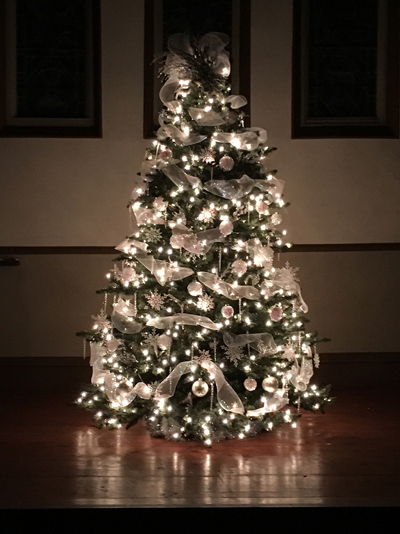 These operating funds pay for upkeep of Pratt Hall, and programs like Candles and Carols, our Memorial Day commemoration, the Lalia Pratt Hays Scholarship, and more. Thank you for joining and supporting these activities. Our 2017 drive will begin in late March but you can join anytime online by clicking the Membership link on our home page. You can use any credit card (processed by Paypal) or your personal Paypal account by clicking the Donate button and following the prompts. 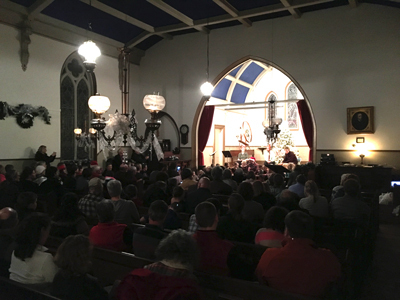 On December 18th we hosted an Open House followed by our annual Candles and Carols singfest, despite the freezing rain in the forecast. This was a roller coaster weather weekend with temperatures going from double digit below zero, to 43 above, to double digits below zero in the span of 48 hours! Andrew Massey reprised his role as conductor and song leader after a 3 year hiatus. It was great to have him back. Three of his original Montgomery Symphony musicians, now young adults, also returned with him. 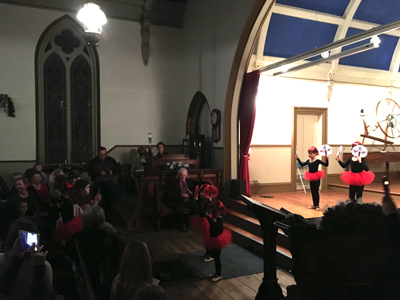 Kathleen McCloskey-Scott also returned with a bevy of local young ballerinas who performed the Chinese Dance from the Nutcracker. Too cute. Jay Farnham read the "Grinch Who Stole Christmas" and voiced Cindy Lou Who flawlessly. Christmas Joke of the night... What do you get when you cross an Irish Setter with an English Pointer? A PointSetter! Ha!! Warm cider and cookies were provided for all and Covered Bridges ornaments were handed out to until we ran out. Our thanks to everyone who helped make this another memorable holiday evening. January: Vermont History and Independence Month. February: - 1979 MHS federal tax exempt status approved by the Internal Revenue Service. March: 1820 - Montgomery Baptist parish formally organizes and consists of 10 people. 1. b. 1905. The first Vermont law concerning automobiles was passed in 1894. The first car is believed to have been brought into the State in 1898, a Stanley Steamer. Plates were required in 1904 (you made your own!) but not issued by the State until 1905. 2. d. 373 cars were registered and issued a plate in 1905. By 2000 over 750,000 were issued each year. This year there were 72 different kinds of license plates issued. 3. a. "Green Mountain State" was the first motto on a VT plate. "See Vermont" began in 1957. 4. a. The first vanity plates were available in 1948. Acknowledgment: Much of the DMV report through the 1960's was taken from a term paper written by, then UVM undergraduate, Gary Irish of Jericho, Vermont.